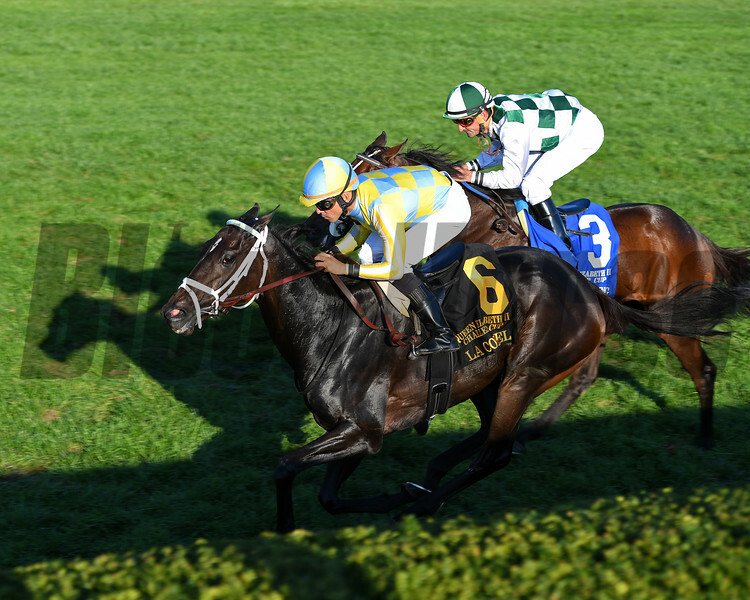 La Coronel with Jose Lezcano wins the Queen Elizabeth II Challenge Cup Presented by Lane's End (G1). Oct. 14, 2017 in Lexington, Kentucky. Daddys Lil Darling in second.